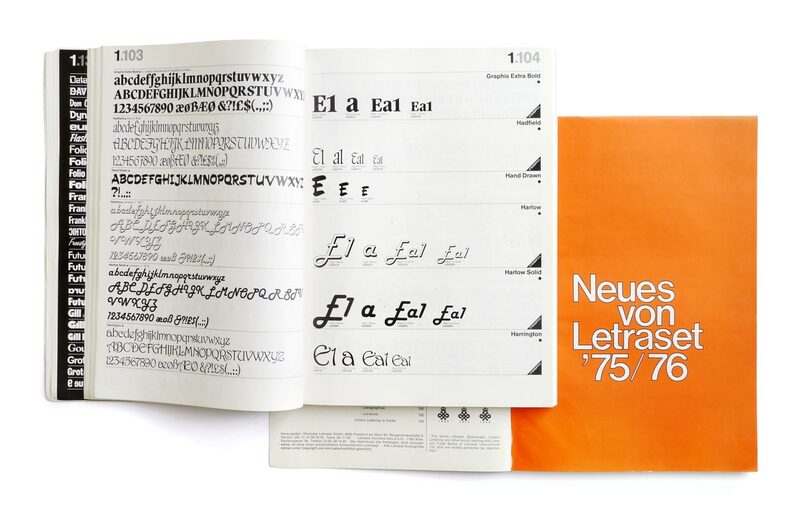 These Letraset books are probably the reason why I ever developed a fascination for type. The books were actually specimen catalogues for Letraset’s then state-of-the art rub-on lettering sheets my father needed for his work as an engineer. For me as a kid the actual rub-on letters were sacred. I loved to use the sample alphabets to retrace my own textlines on tracing paper. In the early Nineties, long before my decision to study graphic design, I created a handful of experimental pixel fonts on the Commodore 64. So much for my early flirts with type design. I got my Diploma at the Meisterklasse at Die Graphische in Vienna and worked for various agencies until I started as a freelance art director at Perndl+Co. At that time I had first serious typefaces in the works. Phospho type foundry started in 2008 with the release of Adhesive Nr. Seven. Since then I finished approximately one typeface per year and consider myself as 50% graphic designer, 50% type designer. The remaining part I try to spend for my passion project Stadtschrift, an association for the collection, preservation and documentation of historic façade signs. We save unique signs from being scrapped and put them on display in the public again. So there is a big love for ancient shop signage and their typefaces, and the inspiration I draw from the heritage of the city makes phospho a heartfelt Viennese foundry.